RSVP – Join Pandora for an exclusive event with performances from Logic + Khalid. Tune into the Logic and Khalid Mixtape on Pandora to get pumped for the show and check out hand-picked favorites from the artists HERE. Invite Only – Celebrate an endless summer at our Locals Only VIP Party! T-Mobile + Spin PR Promenade Night with Bites from Del Frisco’s Grille & Lago/Caffe Bella & Tasti D-Lite, Drinks from Dulce Vida Tequila & Hansen’s, Virtual Reality Station, Exclusive Offers and Giveaways, Music, Games & More. Join us to explore the new T-mobile and celebrate our impactful neighbor Surfrider Foundation helping to project our oceans and beaches. RSVP – A special live performance by Major Lazer SoundSystem free to an intimate audience of Pandora listeners who RSVP presented by T-Mobile and Pandora at Exchange LA. Invite Only – Zedd and Bruno Mars will perform a special private concert for 6000 LA-area fans and T-Mobile customers at the Shrine Auditorium on November 10 as part of the launch of Un-carrier X. 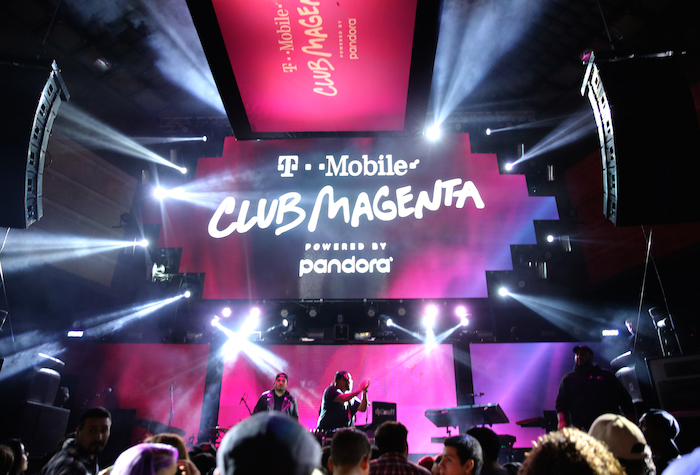 Invite Only – Celebrate the year’s best in music at the second annual Pandora After Party (photo via), brought to you by T-Mobile at Create nightclub. Guests will be treated to passed hors doeuvres, a hosted bar, and a performance by rapper, record producer, entrepreneur, and international DJ Lil Jon.